First 40 minutes, left. Next 20, right. Thank you for taking an interest in my art and my journey of learning. I plan to use this blog to post regular updates about what I'm working on, so you can follow each piece as I complete it. I am currently working on a series about a boat named "Cosi." I spent a morning on Provincetown Harbor and took several photos at low tide, with the late season light reflecting the colors of the grounded boats. 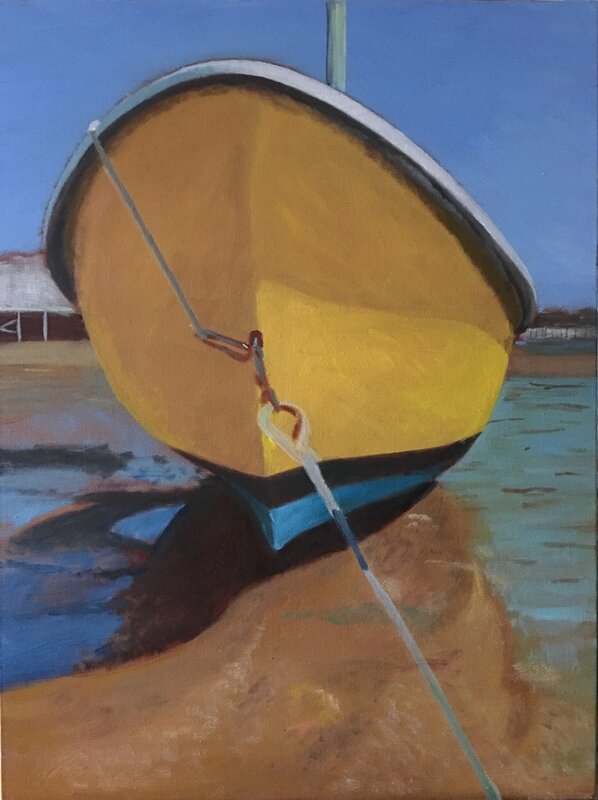 This little yellow boat made for a beautiful model. This is my second version of this view. The first was 8x10, and this one is 18x22, still in progress.